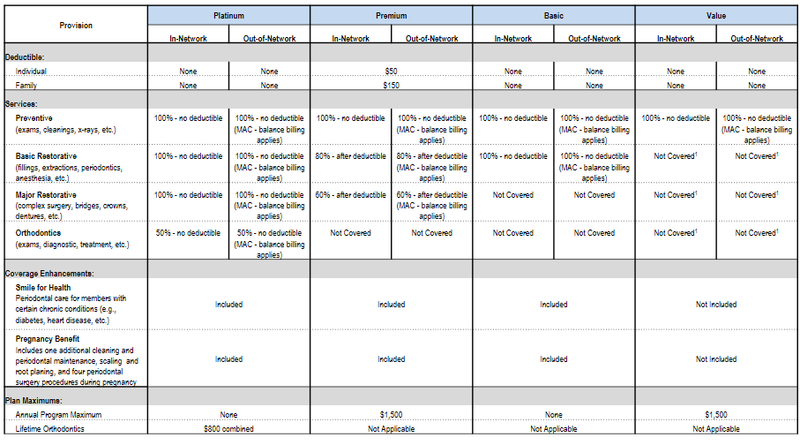 Please see the chart below for a side by side comparison of the four plan options. If you are a current MBS member and want to change dental plans for 2018, contact Judy Ghion (see link below) no later than October 13, 2017. If you do not notify MBS by this date, we will assume you do not want to make any changes for 2018 and wish to continue in your same plan option(s). If you are not a current MBS member and want to learn more about MBS benefit plans, please contact Tammy Cappo or Mike Boyd (see link below). For contact information, please click on the link below.